The prevalence of obesity has increased dramatically worldwide during the past three decades and has passed 30% of the adult population in both the US and UK. In the Nordic countries, more than 20% of adults are obese and more than 5% severely obese, with a body mass index >35 kg/m3 (1–3). The devastating impact of obesity on health is undisputed and spans common conditions such as diabetes, cardiovascular disease, cancer, osteoarthritis, major depression, adverse pregnancy outcomes and infertility (4, 5). Therefore the potential health impact of efficient preventive action in modern societies is tremendous. In this issue of the Scandinavian Journal of Work, Environment & Health, a series of papers address the relationship between obesity and the workplace, and the question is raised whether the workplace and occupational health professionals have a role to play in this context. Overweight and obesity basically reflect an imbalance between energy provision and expenditure or between intake of calories and physical activity. Although several new genetic determinants of obesity have been unravelled in the past few years (6), it is obvious that the greatly increasing occurrence of obesity during the past decades must have environmental and behavioral causes. In this issue, Pandalai et al (7) provide a systematic outline of interrelationships between obesity and workplace factors from a health perspective. First, changes in the occupational environment may directly contribute to the epidemic by causing overweight and obesity. Rapid shifts towards more sedentary work with less physical activity is an obvious risk factor, but as reviewed by Solovieva et al (8) there is also limited evidence that psychosocial factors, long work hours, and shift work may contribute to overweight and obesity (9, 10), but temporal trends of these potential risk factors are less obvious. Moreover, pre- and perinatal exposure to xenobiotics with the capacity to interfere with endogenous hormone signalling have been linked with the risk of developing diabetes and obesity later in life (11). It is a provocative thought that obesity could, to some extent, be a toxicological issue. Considering the overwhelming evidence of a general decline in workplace exposure to chemicals in the Western world, many researchers will doubt the plausibility that chemical exposures at work are important contributors to the obesity epidemic. Besides genuine causal factors in the workplace, Pandalai et al (7) also provide examples of how workplace exposures can modify the effects of other risk factors of obesity. Second, obesity is related to occupational health because it is a risk factor for injuries and preterm exit from the labor market.  In this issue of the journal, Lin et al (12) provide compelling evidence from a large, longitudinal study in the US that obesity increases the risk of occupational injuries by some 25%. The authors acknowledge that the mechanisms leading to increased injury risk have not been well studied. The effects could be mediated by obesity-related conditions, such as sleep apnea leading to fatigue, osteoarthritis leading to physical limitations, or altered biomechanics leading to postural instability. While it would be most straightforward to attempt to prevent obesity, we also know that this is not easily achieved. Therefore, for effective prevention of injuries, we may need to consider and affect also the pathomechanical pathways. In addition to being a risk factor for accidents at the workplace, it is now well documented that obesity is related to preterm exit from work. In their meta-analysis of 28 prospective studies mostly performed in the Nordic and a few other European countries, Robroek et al (13) provide evidence that obesity is associated with a 50% higher risk of disability pension – a result that is not unexpected considering the known association between obesity and serious chronic disease. These data are corroborated by a new large prospective study from Finland also published in this issue of the journal. According to Roos et al (14), obesity was strongly related to all-cause disability in both genders with clear indications of an “exposure–effect” relationship: the severely obese were at a higher risk than obese, and obese were at higher risk than overweight persons. In the case of disability retirement as a result of musculoskeletal disease, the risk was more than doubled. Important in the context of preventive action, this study did not indicate that working conditions modify the risk of disability retirement. Apparently one needs to address obesity itself. But how is this accomplished from an occupational health point of view? In a paper on the co-occurrence of obesity and insomnia among employees and in workplaces, respectively, Oksanen et al observed a weak co-occurrence at the individual level but a strikingly strong co-occurrence of almost 60% at the workplace level (15). This workplace clustering of the two common and interrelated disorders may be taken as an argument for health promotion actions targeting these disorders at the work-unit rather than the individual level. Others provide less sophisticated arguments for preventive interventions targeting overweight and obesity at the workplace (16, 17). The occupational healthcare setting offers good opportunities to reach employees and promote more healthy behaviors (18, 19). Moreover, a Cochrane review of counselling and education programs aimed at lifestyle change in the general population did not demonstrate beneficial effects (20). However, the fact that there is no easy solution is demonstrated by one of the few published randomized controlled studies that examines effects of workplace interventions targeting overweight and obesity. In a controlled trial among Dutch occupational physicians, Verweij et al (21) did not find that an occupational health guideline, including repeated face-to-face counselling sessions to improve lifestyle, was more effective than usual care. The disappointing fact is that, at present, there is no evidence-based recommendable occupational health intervention targeting obesity. In conclusion, the papers in this thematic issue of the Scandinavian Journal of Work, Environment & Health demonstrate how, for several reasons, the obesity epidemic is an important issue in occupational health research and practice. Some occupational risk factors contribute to obesity, and obesity contributes to injuries and preterm exit from the labor market. It is also known that behavioral changes focusing on diet and physical activity are key factors to address. But at present it is not known if and how this knowledge can be utilized for preventive action at the workplace. This gap in knowledge defines a major research area that so far has been given far too little attention. Pettersson, J, Johansson, K, Rossner, S, & Neovius, M. (2008). Prevalence of obesity and abdominal obesity in Swedish primary care and occupational health clinics. Obes Facts, 1, 251-7. Due, P, Heitmann, BL, & Sorensen, TI. (2007). Prevalence of obesity in Denmark. Obes Rev, 8, 187-9, http://dx.doi.org/10.1111/j.1467-789X.2006.00291 . Lahti-Koski, M, Seppanen-Nuijten, E, Mannisto, S, Harkanen, T, Rissanen, H, Knekt, P, et al. (2010). Twenty-year changes in the prevalence of obesity among Finnish adults. Obes Rev, 11, 171-6, http://dx.doi.org/10.1111/j.1467-789X.2009.00681.x . Ramlau-Hansen, CH, Thulstrup, AM, Nohr, EA, Bonde, JP, Sorensen, TI, & Olsen, J. (2007). Subfecundity in overweight and obese couples. Hum Reprod, 22, 1634-7, http://dx.doi.org/10.1093/humrep/dem035 . Guh, DP, Zhang, W, Bansback, N, Amarsi, Z, Birmingham, CL, & Anis, AH. (2009, Mar 25). The incidence of co-morbidities related to obesity and overweight: a systematic review and meta-analysis. BMC Public Health, 9, 88, doi: 10.1186/1471-2458-9-88.:88-9. Cheung, WW, & Mao, P. (2012). Recent advances in obesity: genetics and beyond. ISRN Endocrinol 2012, 536905, doi: 10.5402/2012/536905, http://dx.doi.org/10.5402/2012/536905 . Pandalai, SP, Schulte, P, & Miller, DB. (2013). Conceptual models of the interrelationsships between obesity and the occupational environment. Scand J Work Environ Health, 39(3), 221-232, http://dx.doi.org/10.5271/sjweh.3363 . Solovieva, S, Lallukka, T, Virtanen, M, & Viikari-Juntura, E. (2013). Psychosocial factors at work, long work hours and obesity: a systemativc review. Scand J Work Environ Health, 39(3), 241-258, http://dx.doi.org/10.5271/sjweh.3364 . Van Drongelen, A, Boot, CR, Merkus, SL, Smid, T, & van der Beek, AJ. (2011). The effects of shift work on body weight change - a systematic review of longitudinal studies. Scand J Work Environ Health, 37, 263-75, http://dx.doi.org/10.5271/sjweh.3143 . Newbold, RR, Padilla-Banks, E, Snyder, RJ, & Jefferson, WN. (2007). Perinatal exposure to environmental estrogens and the development of obesity. Mol Nutr Food Res, 51, 912-7, http://dx.doi.org/10.1002/mnfr.200600259 . Lin, T, Verma, SK, & Courtney, TK. (2013). Does obesity contribute to non-fatal occupational injury? Evidence form the natinal longitudinal survey of Youth. Scand J Work Environ Health, 39(3), 268-275, http://dx.doi.org/10.5271/sjweh.3347 . Robroek, SJW, Reeuwijk, KG, Hillier, FC, Bambra, CL, van Rijn, RM, & Burdorf, A. (2013). The contributon of overweight, obesity and lack of physical activity to exit from paid employment: a meta-analysis. Scand J Work Environ Health, 39(3), 233-240, http://dx.doi.org/10.5271/sjweh.3354 . Oksanen, T, Kawachi, I, Subramanian, SV, Kim, D, Shirai, K, Kouvonen, A, et al. (2013). Does obesity and sleep problems cluster int he workplace? Scand J Work Environ Health, 39(3), 276-283, http://dx.doi.org/10.5271/sjweh.3332 . Shain, M, & Kramer, DM. (2004). Health promotion in the workplace: framing the concept; reviewing the evidence. Occup Environ Med, 61, 643-8, http://dx.doi.org/10.1136/oem.2004.013193 . Groeneveld, IF, Proper, KI, van der Beek, AJ, Hildebrandt, VH, & van, MW. (2010). Lifestyle-focused interventions at the workplace to reduce the risk of cardiovascular disease--a systematic review. Scand J Work Environ Health, 36, 202-15, http://dx.doi.org/10.5271/sjweh.2891 . van Dongen, JM, Proper, KI, van Wier, MF, van der Beek, AJ, Bongers, PM, van, MW, et al. (2012). A systematic review of the cost-effectiveness of worksite physical activity and/or nutrition programs. Scand J Work Environ Health, 38, 393-408, http://dx.doi.org/10.5271/sjweh.3275 . Strijk, JE, Proper, KI, van, MW, & van der Beek, AJ. (2013). Effectiveness of a worksite lifestyle intervention on vitality, work engagement, productivity, and sick leave: results of a randomized controlled trial. Scand J Work Environ Health, 39, 66-75, http://dx.doi.org/10.5271/sjweh.3311 . Ebrahim, S, Taylor, F, Ward, K, Beswick, A, Burke, M, & Davey, SG. (2011). Multiple risk factor interventions for primary prevention of coronary heart disease. Cochrane Database Syst Rev, 19, CD001561. Verweij, LM, Proper, KI, Weel, ANH, Hulshof, CTJ, & van Mechelen, W. (2013). Long-term effects of an occupational health guideline on employees body weight-related outcomes, CVD risk factors and quality of life: results from an RCT. Scand J Work Environ Health, 39(3), 284-294, http://dx.doi.org/10.5271/sjweh.3341 .